Oklahoma State University's Eastin Center for Talent Development will impact the lives of students and future students with Tuesday's announcement that the Spears School of Business Career Services office will be managed and run by the Center. The announcement, made at a reception Tuesday night in Dallas, supports the Eastin Center's purpose of promoting student career readiness, corporate engagement and career services in the Spears School. The Center provides the leadership and administrative support for the Spears School's Career Readiness Initiative, which focuses on teaching the professional skills and knowledge necessary for a career in business. Joseph and Monica Eastin, who were instrumental in the creation of the center with a generous gift, were among those attending Tuesday night's event. "We are very grateful for the Eastins' generosity as this Center will revolutionize how we prepare students for their careers and lives," said Ken Eastman, dean of the Spears School. "It's ironic that the soft skills are often the hardest for us to perform well. The activities of the Center will allow students to practice these skills so that they are prepared for life after college." The Eastin Center provides a dynamic program to teach the practical skills employers are looking for in employees – communication skills, proper attitude, work ethic, etc. 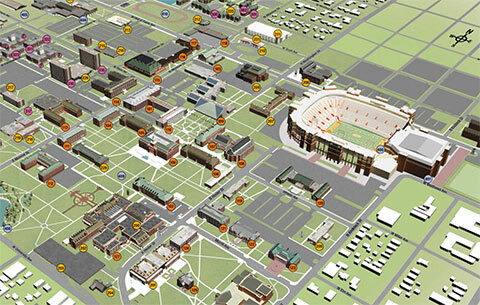 – ensuring that OSU students are fully prepared to succeed in their careers. Dean Ken Eastman (left) and Bryan Edwards and Andy Urich congratulate Joseph and Monica Eastin. The Center's leadership has targeted Career Readiness, Corporate Engagement and Career Services to encourage students to invest in themselves and their futures. The Eastin Center Career Readiness strategy is also incorporated throughout the business curriculum with an emphasis on introductory courses in finance, management, marketing, entrepreneurship and strategy. The Spears School will begin offering several new courses to support Dean Eastman's initiative to better prepare business students to enter the workforce. "We have developed a program that will teach students the intangible skills necessary to help students succeed in business," said Bryan Edwards, director of the Eastin Center. In addition, the Eastin Center will introduce students to Career Services during their first semester on campus and continue to serve students until they are productively employed. Under the Eastin Center, Career Services will 1) facilitate external relationships and networking opportunities for employers and students; 2) act as the primary contact for alumni, employers and organizations interested in connecting with Spears School students; 3) assist with the Spears School's mentoring program available for all interested students, and 4) match qualified students to internships. Joseph Eastin is an OSU alumnus who is CEO and Principal of ISN. He has helped build the global leader in contractor and supplier information management into one of the world's fastest-growing companies, growing from three employees in 2001 to nearly 500 employees in 2015. "Monica and I are appreciative of the work and commitment that has gone into the Center by the OSU leadership thus far," said Eastin. "We are pleased the expanded Center will now include career services. We look forward to helping develop and place the Spears School students with meaningful internships during college and full-time positions after graduation." For more information, visit the Eastin Center website (http://spears.okstate.edu/eastin/) or contact Susan Malec at susan.malec@okstate.edu or 405-744-1120.